This is very interesting. 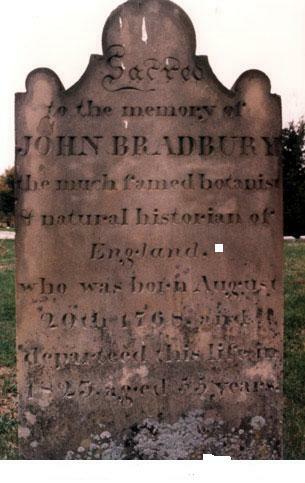 There was another botanist who went to America at about the same time. He was from Ashton and had a very unhappy end. I enclose an extract from my next book. They walked up the hill on the new road out of town. The sky turned grey. Yellow flecks lingered on the horizon of the hill. They walked through the park with the same name as the library past the faded crumbled ruins of the mansion that had once hosted paintings from around the world and the faint nostalgic pencil drawings of a young man with a passion for the arts and architecture in the manner of John Ruskin, his inspiration. Whispers of Victorian beauty rose from the ground and the profile of a beautiful woman with golden hair in a bun sitting at the window looking toward the town and sighing for its welfare. They walked round to the back of the football club and off the pathway into the dale of shrubbery and laurel bushes mixed with hawthorn. She walked down to the stream and stood amongst the greenery. She turned to him. ‘We are all alone here. We could be deep in the English countryside. There is not a sight or sound of house or home, people or things. It’s beautiful here.’ She stood with her back leaning on the brown bark of an old beech tree and looked to the sky through the greenery as she recited. ‘I don’t know that poem,’ he said. A breath of wind trembled amongst the leaves of the trees like a sigh. It whispered cool and calm and fell at their feet. There is more information on John Bradbury on Wikipedia. It says he was Scottish but born near Stalybridge ?